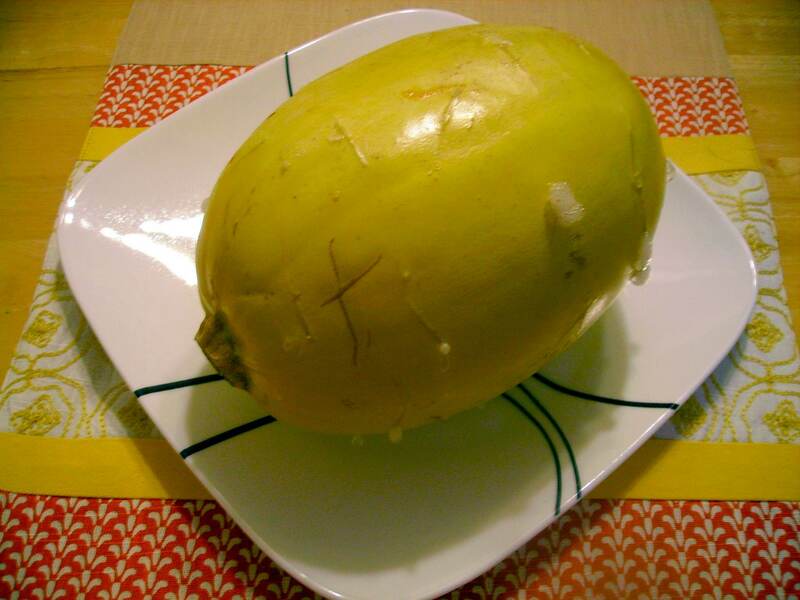 Start by stabbing a large spaghetti squash all over. If you have any pent-up aggression, then this will be fun! Just don’t stab your hand. 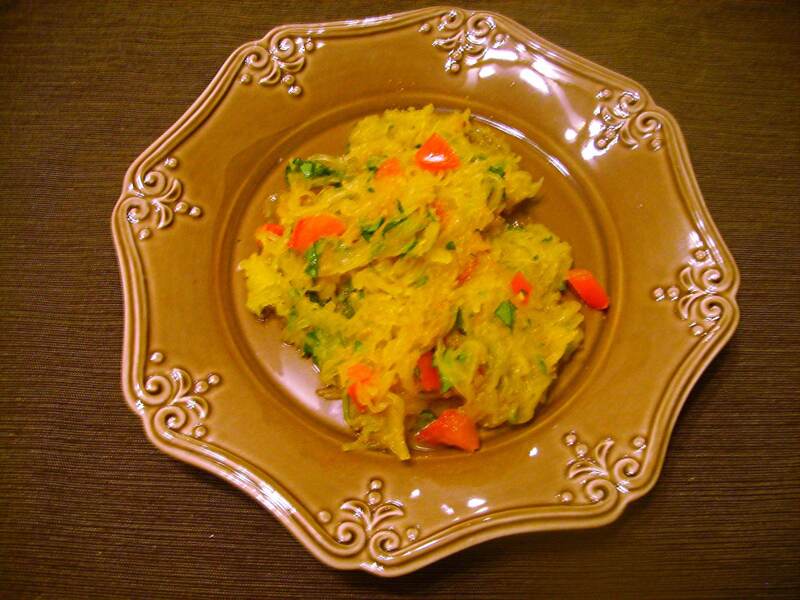 Set the squash on a plate and microwave for 6–7 minutes. Carefully turn the squash over and microwave for another 8–10 minutes. The squash will release some of its internal juices as it “roasts,” so don’t be alarmed if it bubbles and pops a little. Let the squash cool for at least 10 minutes. Meanwhile, melt the butter and sauté the garlic. As soon as the garlic starts to brown, add in the spices. The butter mixture will be foamy and very fragrant. Remove from the head and set aside. Cut the hot squash in half lengthwise. It will probably still be a bit hard to handle, but luckily the skin should be very soft so you won’t have to work to hard to cut through it. Be careful, because it will release a looooot of steam once its open. Carefully scrape out the seeds and slimy pulp with a spoon. Try not to remove too much (or any!) of the strands of squash. I was actually able to remove the seeds almost without touching the squash, but if you are less of a sissy than I am, maybe you won’t have a problem either way. 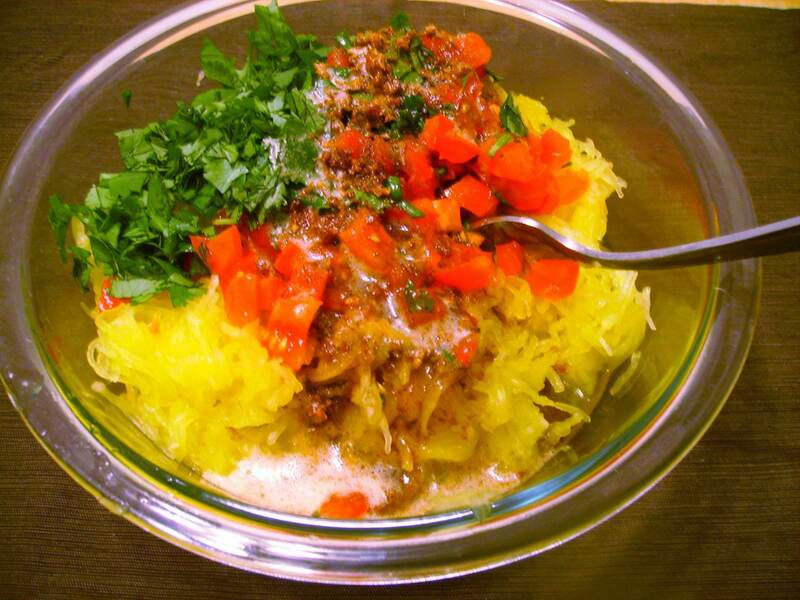 Using a fork, scrape the spaghetti-like strands of the squash out of the shell and dump them into a large, heat-resistant bowl. Get as much of the fruit as you can (yes…squash is a fruit). Stir the butter sauce, roughly chopped cilantro, and diced tomatoes into the squash. Yes, I am well aware that tomatoes are out of season, but every once in a while I’ve just got to have them. If you find yourself craving a tomato in the middle of winter, I suggest going for a small variety, such as campari tomatoes, and selecting whichever ones are the reddest and the most fragrant you can find. Of course, you can also skip the tomatoes, but they add a bright note to the otherwise earthy and savory seasonings. Pierce squash (about 1″ deep) all over with a small, sharp knife to prevent bursting. Set on a plate, then microwave on high 6–7 minutes. 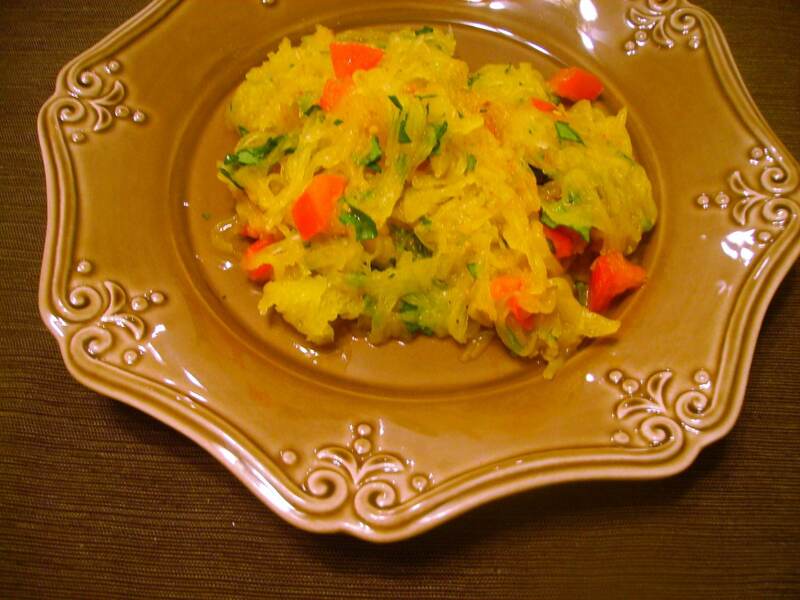 Turn squash over and microwave 8–10 minutes until squash feels slightly soft when pressed. Cool for 5 minutes. Meanwhile, melt butter in a saucepan over medium heat. 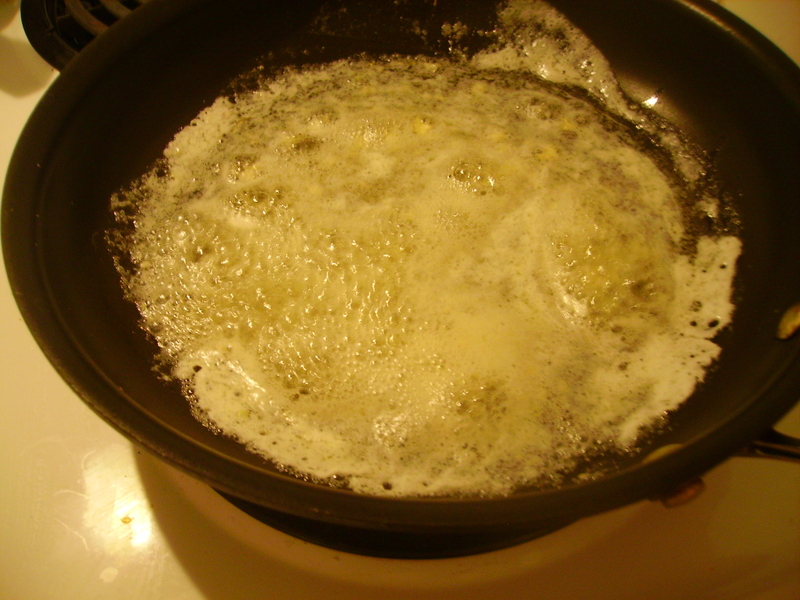 Add garlic and simmer, stirring, until golden, about 1 minute. Stir in spices. Butter mixture should be foamy on top. Remove from heat. Carefully halve squash lengthwise. Remove and discard seeds. 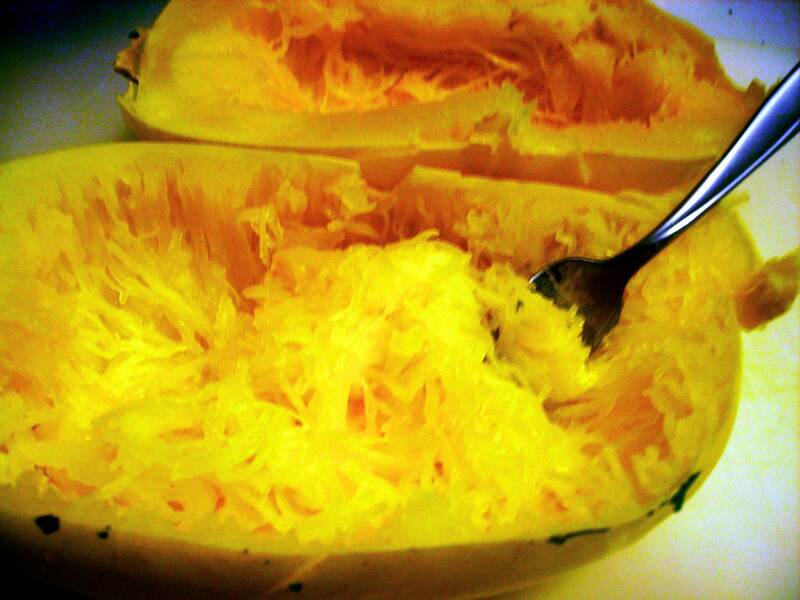 Working over a bowl, scrape squash flesh with a fork, loosening and separating strands. Toss with spiced butter, cilantro, and tomatoes.